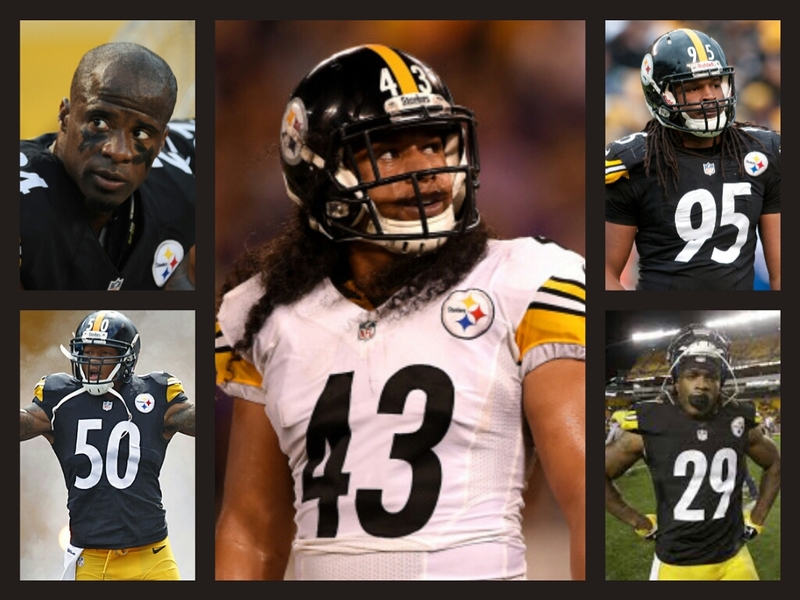 GOOD NEWS: Thomas, Shazier, Jones, Taylor and Polamalu..Back to Practice | "IT'S A STEELERS WORLD"! The Steelers got some good news on the injury front on Monday following their bye week, not only with linebacker Jarvis Jones being activated from the injured reserve/designated to return list, but also cornerback Ike Taylor, Ryan Shazier,Troy Polamalu and Shamarko Thomas were back on the practice field. This is why the previous win versus the Tennessee Titans in week 11 was so important, along with the perfectly timed bye. Being able to bring back five major cogs in the Steelers defense in huge during their playoff push. “It felt good to be back,” said Taylor. “I was out there talking smack, having fun with the guys. There isn’t anything like it. I am just glad to be out there. I was talking to the secondary before we broke it down and I was dang near in tears talking to them before practice. That is how much I care. “It’s been killing me. When I got hurt I was like, dang, this stinks. There is only so much cheerleading I can do. You don’t even know how hard it has been. You don’t even know. You just don’t even know. Shazier has been up and down with injuries this season, missing weeks four-seven with a knee injury but more recently missing the last two games with an ankle injury suffered against Baltimore at Heinz Field. While he said he has to wait for word from the athletic trainers and doctors for his status this week, he was glad to be back to work. “It felt great just going out there and being able to practice today,” said Shazier. “It felt good just to be out there. The bye week helped us out a lot. We are getting a lot of guys back. We still have days left so we will see how everybody feels. It’s great when you have the whole team back. The bye week apparently was beneficial for Polamalu (knee) and Thomas (hamstring) as well. Polamalu missed the Jets and Titans game and Thomas has missed five of the last six games. Thomas spent the bye weekend in Pittsburgh, getting treatment, working in the weight room and preparing for his first practice back. He also said he plans on playing this Sunday against the Saints. “I am going to be out there,” said Thomas. “I worked hard over the bye week, stayed here, and got myself ready for this week to play. I am big on doing extra work. It helped me get my legs under me, got me stronger for being back out there today. The Steelers have a three-week window for Jones to practice before they have to place him on the 53-man roster and he likes the way things started for him on Monday. “I got a lot of reps today so it felt pretty good,” said Jones. “I’ll see how I feel Wednesday when we get into pads. Hopefully I will get to see what it really feels like, a little more physical. I feel good.